Robust and easy to use, the TM5 mini powered by AEye, makes a great addition to your speech device. EyeTech eye trackers are used by people all over the world, who can now communicate on their own terms from anywhere, any time of the day. From students to professionals, people living with ALS, Cerebral Palsy, Muscular Dystrophy, Spinal Cord Injuries, Traumatic Brain injuries, Stroke and more, are livingtheir lives... being productive, because EyeTech eye trackers unlock a world of Freedom and Knowledge. Easy magnetic mounting capability makes this the model of choice when sharing across multiple computers (home, work, school). The most compact form factor and comes with a mounting bracket for easy mounting to AAC speech devices. 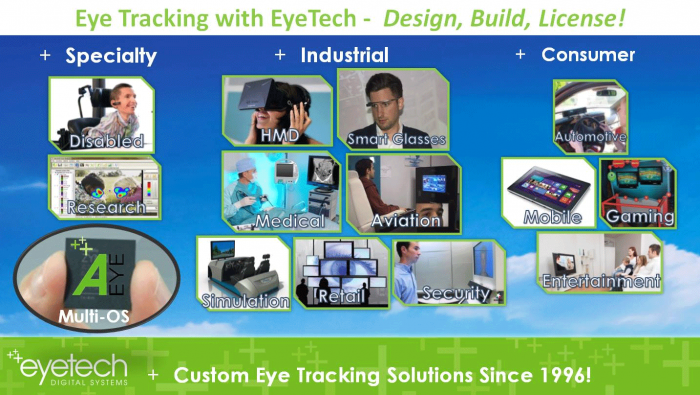 AEye technology consists of the latest generation of EyeTech's algorithms, software, and hardware and offers a superior experience for users. This includes robust tracking performance, instant acquisition, and a greater tolerance for head motion. Best of all our SDK offers support for both Windows and Android. Modular, flexible, and with a single USB connection, the TM5 mini is easily mounted without the use of any tools via our universal magnetic mount. In the field, the TM5 mini is being used by people all over the world, who can now communicate on their own terms from anywhere, any time of the day. From students to professionals, people living with ALS, Cerebral Palsy, Muscular Dystrophy, Spinal Cord Injuries, Traumatic Brain injuries, Stroke and more, are living their lives... being productive, because EyeTech AAC systems unlock a world of Freedom and Knowledge. With its modular design, single USB connection and low power consumption, the TM5 mini enables users to magnetically mount their systems to their speech devices, at home, at school... anywhere across multiple computers. Eye Tracking Outdoors and in Brightly Lit Rooms - No Problem! FINALLY!! Someone heard my plea. I have been searching desperately to find a speech generating device that was small, fast, and was not affected by light. After trying several possibilities, I was left with using either switch scanning, morse code, or other low tech options. 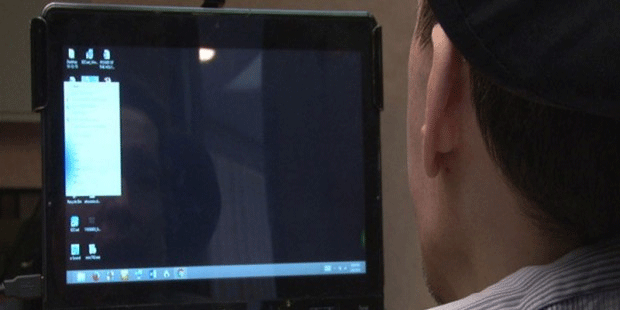 None of the cameras used for eye tracking worked outside or in variable lighting. When I used the Eyetech TM5 mini outdoors for the first time, I was amazed how well it worked. Even the accuracy seemed much improved over my previous camera. I also used it in my family room in the late afternoon where I was always having a problem with too much sun and reflection. Now I no longer need blinds, curtains, or pillows in the window. My caregivers thank you! Losing my ability to speak has been one the biggest challenges of having ALS for 14 years. I have been feeling my world getting smaller and more isolating. Your new mini has had a tremendous positive impact on the quality of my life. Now I have a way to communicate in my wheelchair, that is fast and easy. Thank you Eyetech!